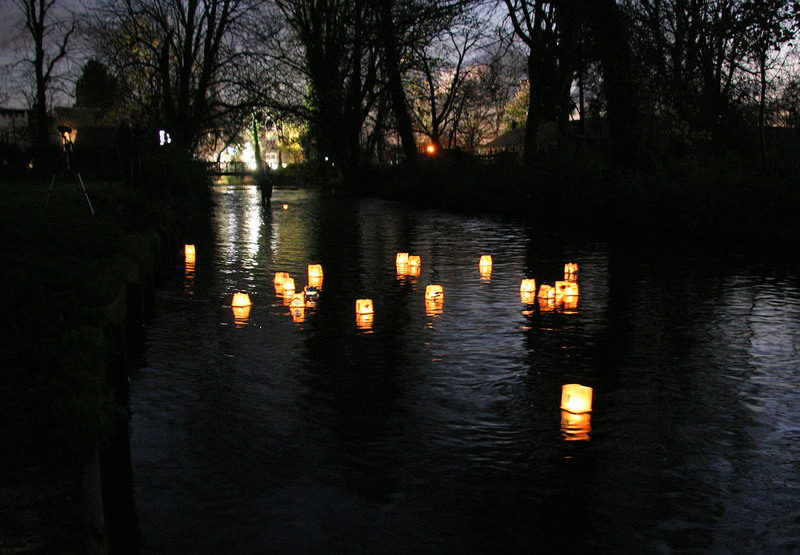 Nearly 100 lanterns floated down the Wandle at dusk in Morden Hall Park as a celebration of the term’s work with the School Arts Partntership between Wimbledon Chase Primary, Cricket Green School in Mitcham and the National Trust. The weather was perfect, cold and clear, and in the end the filming of the new Stephen Poliakoff drama at the Snuff Mill didn’t interfere too much, though it was funny to see actors in 1940s clothing wandering about. Delicious pumpkin soup made by the students at Cricket Green warmed everyone up afterwards. Thanks to Erica, John and Zigi for their invaluable help getting the lanterns out of the water again at the end, and to Nick for these photos, and especially to all the children who took part for making such beautiful lanterns. 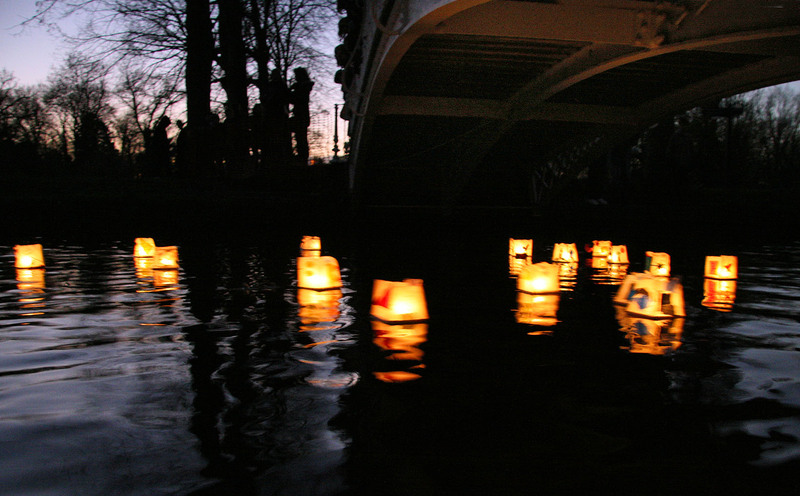 This entry was posted in General news, lanterns, River projects, Workshops on November 25, 2008 by Jane Porter.